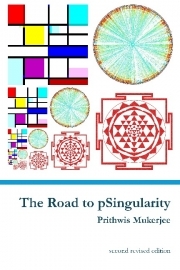 Description of "The Road to pSingularity"
An exploration into the emergence of the conscious from the perspective of Advaita Vedanta as interpreted in terms of contemporary ideas drawn from computer programming and the human genome. Structured as a dialogue between a seeker and a sceptic, the book draws upon parallels from the world of Turing Machines, 3D Virtual Worlds and the information driven world of genetics to show how a sense of self might have emerged and could evolve towards that elusive Identity with what is known as the Brahman -- the primordial singularity -- of Vedanta. Engineer by education, a programmer by passion and an imagineer by intention. Please visit http://www.yantrajaal.com to know more about the author. Reviews of "The Road to pSingularity"